More of the spiritual girl group, whose unique blend of voices and instruments is truly enchanting. Plus Sahadeva Orchestra! 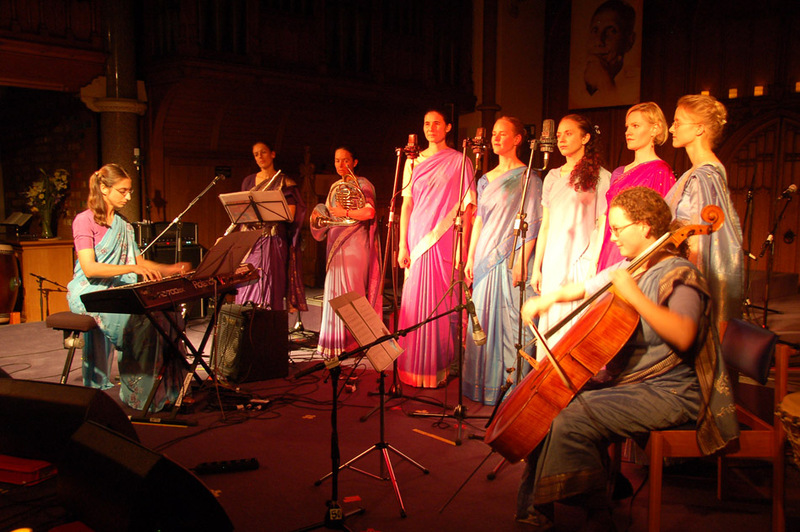 I’ve previously posted about Temple-Song-Hearts, the wonderful all female ensemble performing world music in such a natural style. This time we have full video taken (I think) from the Oxford Songs of the Soul Concert. Cheerful, soulful, and dynamic are words that come to mind here. Percussion is a new feature of their music, and Chintamani (who usually plays cello) seems amused to be doubling on conga. Because I’m something of a loner (perhaps even pathologically so), I’m always amazed to see what can be done when people come together to share their spiritual joys, hopes and longings through music. Sometimes I feel like a perpetual wannabe, so I take much inspiration from those whose have the courage to go beyond personal practice and join in the life of a community. For those interested in comparative religion, I think an excellent question to ask about any spiritual group is “What does their music sound like?” In the case of Sri Chinmoy Centre, it can sound a hundred different ways. But I have a special place in my heart for the sound of Temple-Song-Hearts. 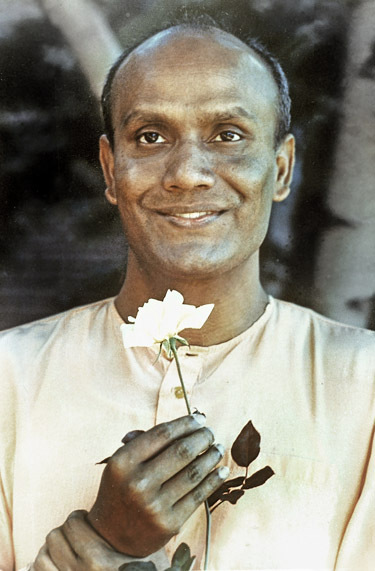 Each person in the group expresses herself in a unique way, through her own personality, yet they blend together beautifully when performing Sri Chinmoy’s songs. Where is my Eternal Father? Can you fight for me? The spirit of courage and determination shown in the music is something astonishing to behold. I believe the arrangement is by Sahadeva Torpy, who’s also a talented actor. See “Meditation music by Sri Chinmoy’s students 2013,” which has an assortment of arrangements by different groups, including another recording of “O Heavenly Bodies” by Sahadeva Orchestra. We all need more beauty in our lives, as well as the courage to conquer ignorance-night. Fortunately, Temple-Song-Hearts and Sahadeva Orchestra can guide us on our way. He was a champion of ecumenism and interfaith harmony who shared a spotlight with his good friend Rabbi Marc Gellman. Together, they formed “The God Squad” — a dynamic duo that team-preached religious tolerance and high ethics. It was natural that Father Tom and Sri Chinmoy should have become friends. They both expressed a keen and abiding interest in interfaith harmony. Years earlier, in November 1977, Sri Chinmoy had held a meditation and tribute to Dr. Martin Luther King, Jr. at the United Nations. This was filmed by WPIX-TV. Father Tom embodied all that is deeply good in the human spirit and all that is good in Catholicism. He will be missed by millions of viewers who knew him as the gentle voice of tolerance, and the gentle face of God.